Besides being delicious (hello bacon!) this side is easy to prepare and great to make on nights when you have a lot going on in the kitchen. Prep them, stick them in the oven, then forget about them for an hour while you get the rest of dinner prepared. 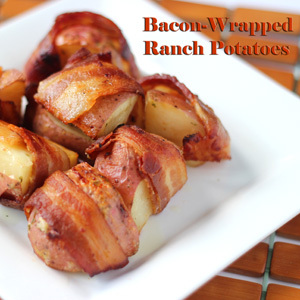 In a gallon storage bag, combine the ranch dressing mix, potatoes, and olive oil. Close bag, and shake until potatoes are fully covered. 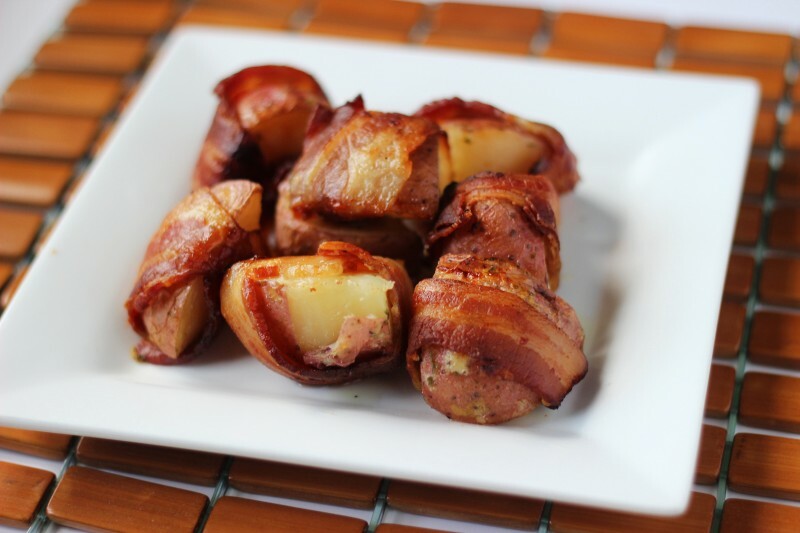 Wrap each potato quarter with ½ piece of raw bacon.